Spring time brings change. Unfortunately, this year you can also expect rising food prices on some goods to rise with the temperature. Not to fear… We’ve come up with some affordable alternatives to this springs price hikes! Recent price increases for some consumer based goods might finally be seeing some relief since the consumer price Consumer Price Index dropped 0.4% in December. However, don’t let that fool you. According to the Bureau of Labor Statistics it was still up 0.8% for the year. While this news keeps us all optimistic, there are several items in the food industry that you’re definitely going to want to keep an eye out for. In order to help u better plan your grocery list, we’ve reviewed 6 foods that are in store for potential price hikes in the near future. First on our list is fresh vegetables. Prices of fresh vegetables rose by 2.8% in December and are up more nearly 4.6% since 2013. If that wasn’t enough, the USDA reports that prices are set to jump an extra 1% in 2015. At least you have an excuse not to eat your brussels sprouts! Suggestions: No matter where you live its the perfect time to start your own garden. 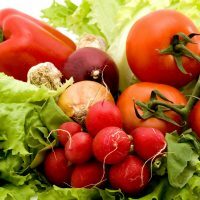 Organic produce and vegetables that you grow yourself are the freshest vegetables you can get. Once again bacon is at the top of our list. With record highs last year, the U.S. Department of Agriculture reports that bacon is still expected to rise another 5% in 2015. Suggestions: We recommend getting a second job or robbing a bank… (Don’t actually rob a bank.) Some sacrifices just aren’t worth it. 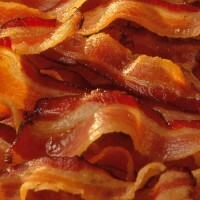 If bacon continues to rise your either gonna break the bank or go without. We all know that the price for a cup of joe at Starbucks is highway robbery but you can’t blame them for the troubles brewing in the coffee industry. 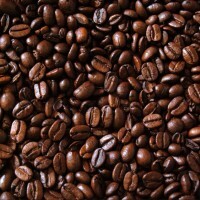 Time magazine reported last October that Arabica coffee prices had hit their highest prices in the past 2 and a half years. You can thank a drought in Brazil for that one. Suggestions: If your determined to get the good stuff Starbucks actually might be your best bet. However, if your trying to save some money, look to home brewing. It’s hard to believe we live in a day and age when the incredible edible egg is over priced. 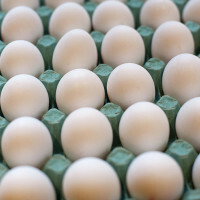 Unfortunately, if you keep buying them your wallet is going to egg-sperience quite a hit as eggs are on the top of our most volatile in price list. The USDA reports in its Food Price Outlook that the price of eggs increased 7.7% from just November to December last year and are currently 10.7% above its December 2013 figure. Whatever the reason for this increase, you can expect an additional hike of 2.5% to 3.5% in 2015. Suggestions: You can still find powdered egg substitutes and tofu pretty cheap. We don’t foresee any similar price spikes here. With record droughts still beating down on California citrus crops you might wanna start thinking about slicing this expensive fruit out of your budget. On the other side of the country, Florida is still bouncing back from a 2014 dilemma of “citrus greening” in which the fruit falls from its branches before it’s ready to eat. 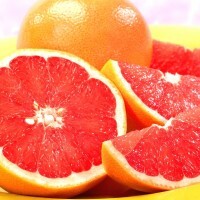 These factors have led to a surge in grapefruit pricing of more than 25% in just the past 5 years. If your holding out for a reduction in price, don’t hold your breath. In 2015, per pound pricing of this delicious fruit is already up 14% from 2014. Suggestions: Other citrus fruits such as oranges are facing similar bumps so don’t rush citrus in general back on your lists just yet. However if your looking for a healthy fruit substitute we recommend apples which have dropped roughly 23 cents per pound. Where’s the beef you ask? Probably at the store with all the other food items priced to high to purchase. 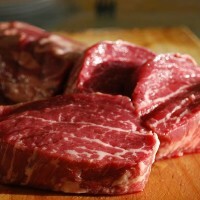 The price of beef skyrocketed last quarter by as much as 25%. Consumer demand for higher quality meat could be to blame and the higher pricing in not going to let up. As reported by NBC News, prices of beef should rise an additional 5% in 2015. Suggestions: Try adding bread crumbs to your ground beef. There will be more burgers to go around and it still makes for a great meal.